Details of the summer season have been announced today. I would recommend booking very quickly if you are thinking of attending ! 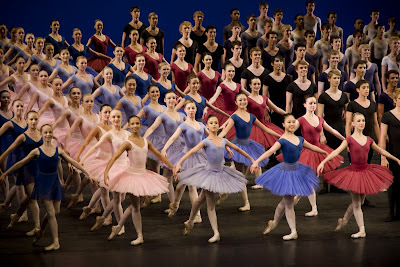 • The Royal Ballet School announces details of this year’s Summer Season at The Royal Opera House, Covent Garden which opens at the Linbury Studio Theatre on Wednesday 1 July 2009 at 7.30pm. • The Summer Season 2009 culminates with a spectacular performance on the main stage of The Royal Opera House on Sunday 12 July at 3pm featuring Frederick Ashton’s The Dream. • Summer Season repertoire also includes a world première entitled Les Jeunes Hommes by Stanton Welch, Peter Wright’s pas de six from Giselle Act 1, Ashley Page’s Larina Waltz, and new choreography by current and former students of The Royal Ballet School. • More than 200 students aged 11-18 fill the main stage of The Royal Opera House in a breathtaking grand finale. 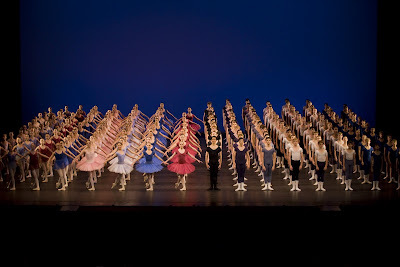 The Royal Ballet School’s Summer Season 2009 opens with five performances at the Linbury Studio Theatre from 1 - 4 July and culminates with one of the most anticipated events on the UK’s dance calendar - the end of year matinée on the main stage of The Royal Opera House, Covent Garden on 12 July. The highlight of this year’s matinée will be one performance only of Frederick Ashton’s The Dream, originally created for The Royal Ballet by Sir Frederick Ashton in 1964 to Felix Mendelssohn’s glorious score. To ensure that the ballet is reproduced authentically, students of The Royal Ballet School have had the great privilege recently of rehearsing in the studio with the original cast of Dame Antoinette Sibley (Titania) and Sir Anthony Dowell (Oberon). Also featuring is a specially commissioned work by Stanton Welch, the Artistic Director of The Houston Ballet, entitled Les Jeunes Hommes to music by Antonio Vivaldi. Stanton Welch has created Les Jeunes Hommes to showcase the considerable talents of the boys of The Royal Ballet Upper School. Lower School (White Lodge) students will be featured in another specially commissioned ballet, Reawakening, choreographed by Lower School teacher, Antonio Castilla, to music by Jean Sibelius. Ashley Page’s Larina Waltz, to music by Pyotr Il’yich Tchaikovsky, completes the programme for the matinée performance. Originally created for the Finale of the 1993 Winter Gala for The Royal Ballet with a stellar cast, this glittering ballet was recently recreated for The Royal Ballet School. It was last performed by students on 13 May in the presence of Their Royal Highnesses, The Prince of Wales and The Duchess of Cornwall as part of a Royal Gala at White Lodge celebrating the completion of the White Lodge Redevelopment Project. The spectacle of more than 200 students from both Upper and Lower Schools filling the main stage of the Royal Opera House in an exuberant défilé brings the matinée performance to a an unforgettable finale. Earlier in the month, five performances at the Linbury Studio Theatre feature the students performing a wide range of choreographic styles. These range from ‘heritage’ works in The Royal Ballet’s repertoire, to exuberant excerpts from some of the great classic ballets, commissioned new works as well as new choreography by former and current students. The programme for the Linbury Studio Theatre will include Stanton Welch’s Les Jeunes Hommes, Antonio Castilla’s Reawakening, Ashley Page’s Larina Waltz. Robert Hill’s Piano Concerto, to Loewe Lieberman’s music, will also be performed. Originally created in 2004 especially for the School’s students, Piano Concerto was most recently performed by students of The Royal Ballet School during a visit to Salt Lake City in January 2009. Danse Bohémienne, to Bizet’s score from La jolie fille de Perth, was choreographed especially for Lower School students by former Royal Ballet School student Liam Scarlett (now a member of The Royal Ballet) and was the opening ballet at the Royal Gala at White Lodge on 13 May. A variety of student choreography will also be featured, including works by three talented Upper School students William Bracewell, Barry Drummond and Katrina Lyndon all aged 18 as. Joy, a piece choreographed by 15 year-old Lower School student Laura Day will also be performed. ‘We are particularly delighted to be presenting Frederick Ashton’s The Dream this year as part of our programme. The Dream is undeniably a key signature ballet from The Royal Ballet’s repertoire and one of the finest examples of our choreographic heritage. We are particularly grateful to Sir Anthony Dowell and Dame Antoinette Sibley for working so hard with the students in reproducing the ballet as Sir Frederick conceived it. Together with works by Antonio Castilla, Robert Hill, Ashley Page, Liam Scarlett, and Stanton Welch, the Summer Season performances represent a challenging range of choreographic styles for the students and an engaging and entertaining spectacle for audiences. The Royal Ballet School offers students as many opportunities as possible to perform in public. The experience of performing on the stage of one of the most important lyric theatres in the world is an extremely valuable one for them and contributes immeasurably to the development of these exceptional young artists. Hi, yes, I think we should each invite one person to control the numbers. We only need a small group of around 8-10. Any more and you are forever waiting for people to catch up on the tour and it's a busy place !